Building a 300 and I'm thinking about going with the 8.2" CMMG Barrel. I currently have a 9" Troy Alpha Rail and I am wondering how that will work with the FH mount for my pending Specwar 762. 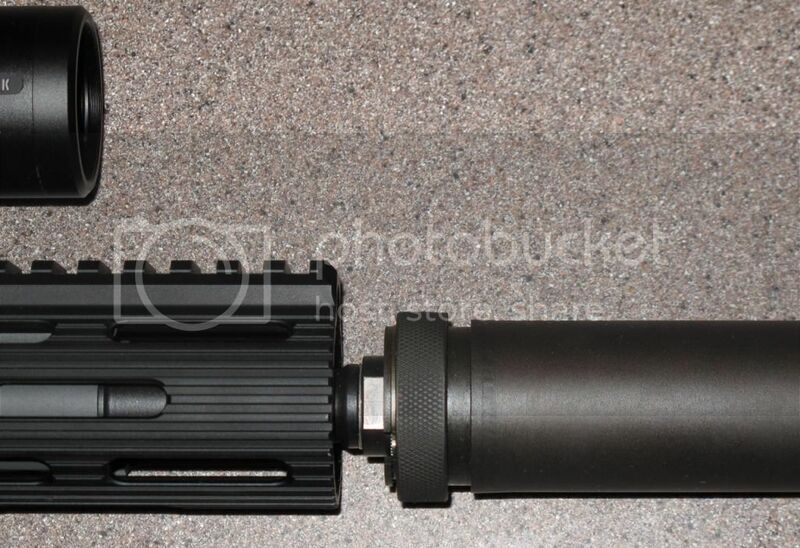 Will the FH stick out far enough for proper installation and removal of the suppressor or do I need to change my plans? 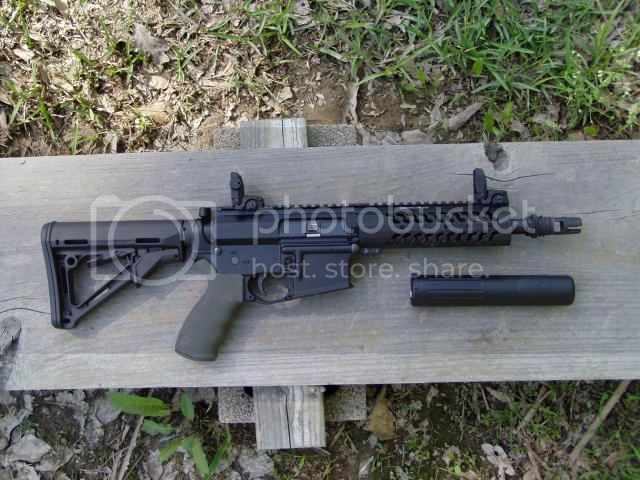 Since I already have the rail and haven't ordered the barrel yet that would be the easiest. The goal is to keep the OAL as short as possible for this build. 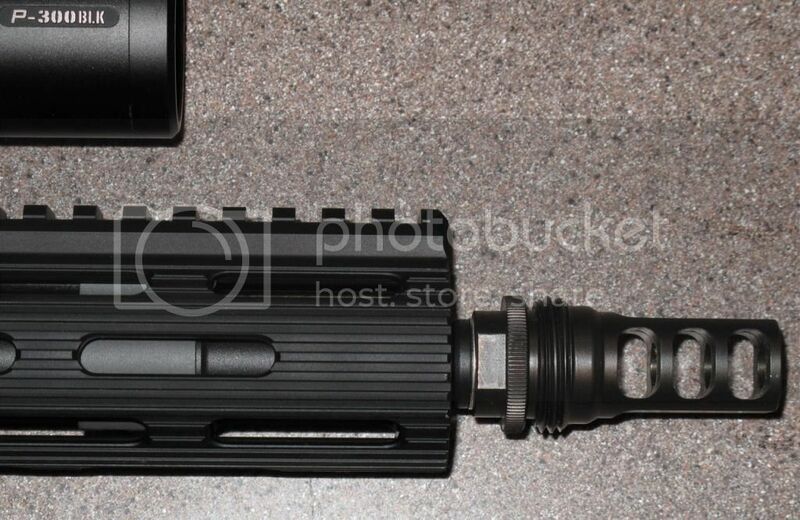 I'm sure I will end up with a 2nd 300 upper w/ either a 12.5" or 16" barrel for use w/ supers. Probably not. I'm using a 7.2" Troy VTAC rail with my Aero 8.2" barrel and the brake sits out far enough for the Specwar lock ring to be manipulated. I'll post photos when I get home. The 9" troy is too long. Thanks for the info, looks like I need to change my plans up a bit. 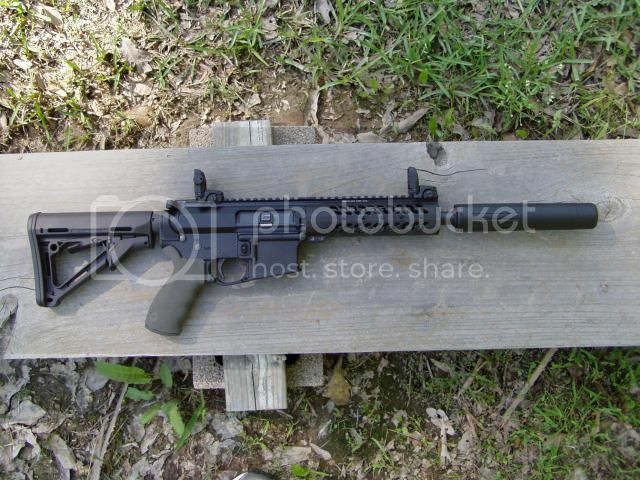 Any 10.5" barrels with a 1x7? Ya that Specwar has a lock ring that you have to have access to, so you can't put it under the rail. It looks like the lock ring on the Specwar doesn't go all the way to the base of the mount so you might be able to squeeze an 8" rail in there. My husband says I have a gunddiction! 7" rail on 8.5" barrel, AAC mount. In retrospect I should have gotten the 7.6" rail - I believe I still could have manipulated the suppressor catch with the longer rail.